If you have diabetes and are pregnant, check with your doctor if you plan to continue or start an exercise programme. 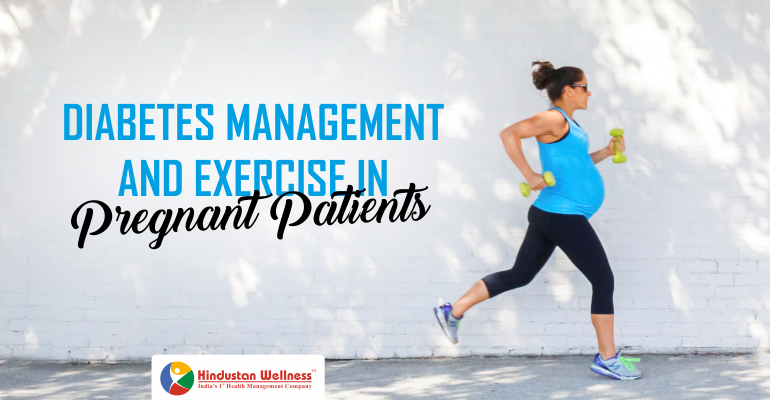 Ask your doctor for specific guidelines on controlling diabetes when you exercise. Exercising safely may mean having to take extra care to monitor ketones and blood sugar. It’s commonly recommended that pregnant women undertake moderate exercise for 30 minutes a day, but you should consult your doctor for specific advice. Does my pregnancy mean lifestyle changes? Congratulations! You’re pregnant. You have a lot to do before the baby comes — set up the nursery, baby-proof the house and stock up on diapers. But if you have diabetes, protecting your baby’s health should be at the top of your to-do list. You wonder if it’s still safe for you to do some of your favourite activities, like your nightly neighbourhood walks and your weekend aerobics classes. Exercise is usually safest when blood sugar levels are between 5 and 8mmol/l (90 and 140 mg/dL ). Ask your doctor what blood sugar level is safest for you and your baby. Exercise for less than 45 minutes at a time. Limit the strenuous part of your exercise to 15 minutes. Warm up before and cool down after exercise. Eat a healthy meal 1 to 3 hours before you exercise. Drink water before, during and after working out. Do not exercise when insulin is peaking. Ask your doctor how to feel your uterus for contractions during exercise. If you feel contractions, you should stop the exercise right away and call your doctor. Wear shoes that fit well. Check your feet daily for irritated areas, blisters, calluses and ingrown toenails. What types of exercises are safe? Activities with a high risk of falling, such as skiing or horseback riding. Contact sports like soccer or hockey. Any exercise that requires lying on your back (after the third month of pregnancy). Any exercise where you strain, hold your breath or make sudden movements. An exercise programme that gets your doctor’s approval may help to control blood sugar better and boost your energy levels. If you feel lightheaded or have any other symptoms of low blood sugar, stop exercising, follow your treatment plan for hypoglycaemia and then contact your doctor. If you want to know your diabetes label then you have to follow diabetes health checkup at Hindustan wellness.